Who's up there floating on that cloud? 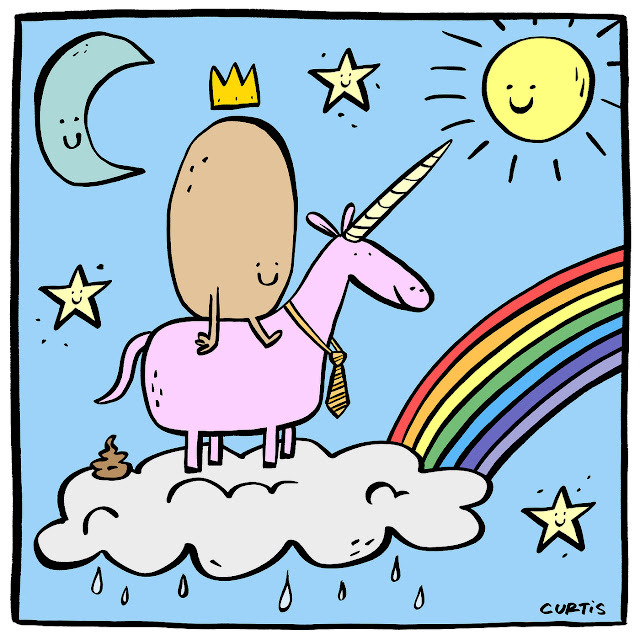 Why, it's the Potato King riding his trusty pink unicorn, Tony. It looks like they are ready to hop on the Rainbow Express, which will take them directly to Sandwich World. The Potato King and Tony make this journey at least three times per week. In Sandwich World, sandwiches grow on trees. Grilled cheese tree's are Tony's favourite. Oh, and to answer the question that everyone is asking...no, I wasn't on drugs when I drew this.